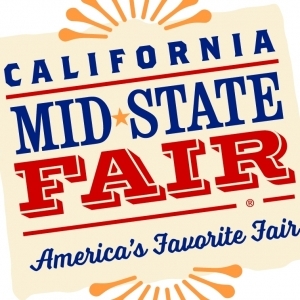 (PASO ROBLES, CA) - California Governor Edmund G. Brown Jr. announced that David Baldwin, Nancy Wheeler and S. Greer Fuller Woodruff have been reappointed to the 16th District Agricultural Association, California Mid-State Fair Board of Directors. David Baldwin, 50, of Atascadero, has been reappointed to the 16th District Agricultural Association, California Mid-State Fair Board of Directors, where he has served since 2014. Baldwin has been a labor compliance officer at the Labor Management Compliance Council since 2016. He was a business representative at the Cement Masons Local 600 from 1995 to 2016 and a cement mason journeyman at Bechtel Construction Company from 1989 to 1995 and at Barnes Dillingham Construction Company from 1986 to 1988. Baldwin held several positions at Bechtel Construction Company from 1985 to 1986, including cement mason apprentice and cement mason journeyman. He was a cement mason apprentice at H.P. Foley Company from 1983 to 1984. This position does not require Senate confirmation and there is no compensation. Baldwin is a Democrat. Nancy Wheeler, 53, of Templeton, has been reappointed to the 16th District Agricultural Association, California Mid-State Fair Board of Directors, where she has served since 2016. Wheeler has been owner at the Rocking JN Cattle Company since 2017, director at the Wheeler Foundation since 1991 and owner at Wheeler Limited Partnership since 1990. She was owner at Kiss Me Cattle Company LLC from 2011 to 2015. Wheeler is a member of the Junior League of Bakersfield, Mendiburu Magic Foundation, Atascadero High School Parent Teacher Association and the American Quarter Horse Association. This position does not require Senate confirmation and there is no compensation. Wheeler is a Republican. S. Greer Fuller Woodruff, 33, of Templeton, has been reappointed to the 16th District Agricultural Association, California Mid-State Fair Board of Directors, where she has served since 2015. Woodruff has been owner and operator at Scout Rental Co. since 2014. She was a tasting room and special events manager at Silver Horse Winery from 2010 to 2014 and at Pomar Junction Vineyard and Winery from 2008 to 2010. This position does not require Senate confirmation and there is no compensation. Woodruff is registered without party preference.